Chelsea were trailing Swansea (2-0 on aggregate) in their League Cup semifinal fixture last month and were pressing hard in search of a breakthrough goal. The Blues got a throw-in late on in the match (81st minute) and as Eden Hazard went on to collect the ball from the sidelines, the Swansea ballboy funnily lay on it in an attempt of time wasting. Hazard blew both his lid and Chelsea’s slim chances of a comeback as he kicked out at the kid in frustration and was given his marching orders by referee Chris Foy. Hazard is not the first athlete who has lost his cool in tense situations as there are countless other cases of sports personalities pushing the self destruct button, after either losing a game (John McEnroe!) or having had a heated altercation on the pitch (Zinedine Zidane!). So the writer has come up with a list of athletes who have had some moments of sheer madness, ranging from the hilarious to the ugly! Argentine Nalbandian was playing Marin Cilic in the final of the Aegon Championships in London, with the former World No 3 making one of his umpteenth comebacks in professional tennis. Though Nalbandian won the first set, he lost both his nerve and serve in the following one and furiously kicked out at an on-court advertisement hoarding. But the hoarding flew at a nearby linesman and left him bleeding after piercing through his shins. 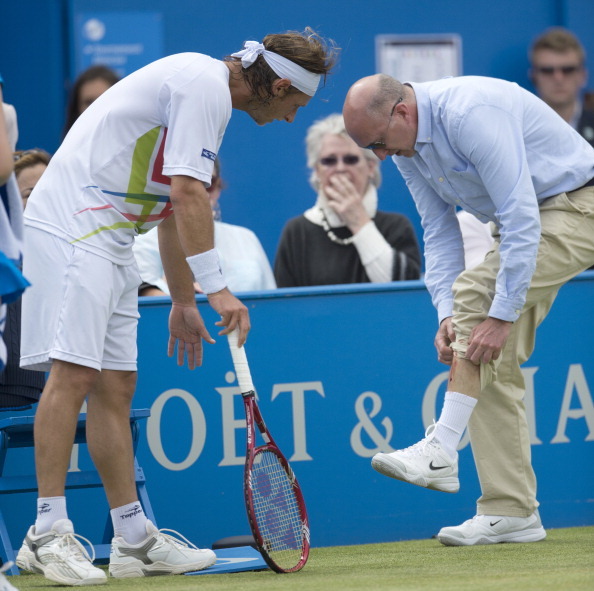 Nalbandian was disqualified from playing any further in the match and had to forfeit his tournament prize money despite giving an apology to the linesman! This maybe the most famous outburst sport has ever seen! France were playing Italy in the 2006 World Cup final and the match was to be Zidane’s last ever in a ‘Les Blues’ shirt. ‘Zizou’, who was in great form throughout the tournament, put France in front early on (7th minute) with an audacious penalty over keeper Gianluigi Buffon, only for Marco Materrazzi to level things up for the Azzuri with a 20th minute header. Though both sides failed to score later on forcing the game into extra time, a moment of madness by the French skipper virtually cost them a second World Cup title. Zidane placed a ferocious headbutt onto Materazzi’s chest after a war of words with the defender and was sent off by referee Horazio Elizondo ten minutes from time. France did hold on with ten men and took the tie to a shootout, but the loss of Zidane was clearly evident as Italy won the shootout 5-4, with David Trezeguet missing for France. The win ensured that Italy won its fourth ever World Cup trophy and though it left the French heartbroken, Zidane was later awarded with the ‘Golden Ball’! Ivanisevic, along with his serve, also has a big temper! 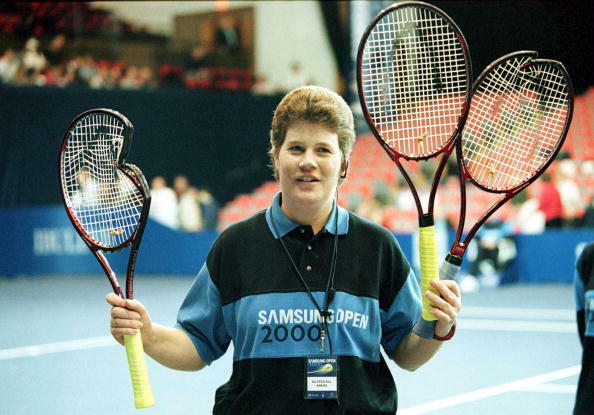 And it was clearly evident in the Samsung Open in Brighton when the fiery Croat broke not one but three (yes three!) rackets during a second round match against Korea’s Hyung-Taik Lee. Ivanisevic smashed his first racket after dropping serve to Lee and went on to lose the first set 7-5. Though he did manage to win the second set, Ivanisevic’s temper got the better of him as he destroyed two more rackets in the third set after losing out crucial points to the Korean. Ivanisevic received a code violation and was deducted a game point for his angry outburst. But the best was yet to come as a disillusioned Ivanisevic ran out of rackets to break and had to forfeit the match to a jubiliant Lee! Long Island Ducks’ Offerman was facing up to Brideport Bluefish pitcher Matt Beech in a minor league baseball match, with the 38-year-old veteran harbouring hopes of returning to Major League action. Offerman had previously played Major League Baseball in 2005 with the New York Mets and was also a two time former All Starrer. A good performance in the minors would have helped him get back amongst baseball’s finest before putting an end to his illustrious career. After slamming a home run off the first pitch, Offerman got hit on his left leg by Beech’s second, prompting a wild outburst by the veteran. 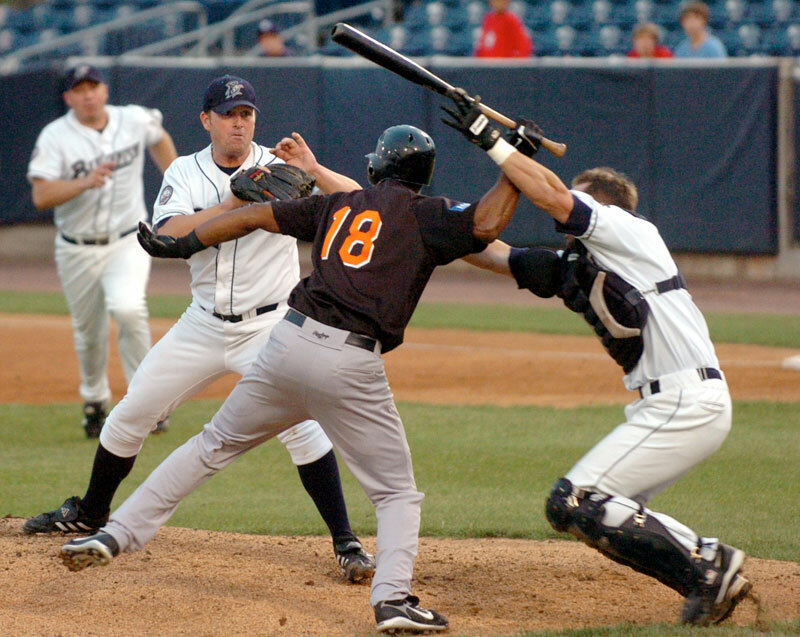 Offerman ran upto to the pitcher’s mound and angrily assaulted Beech twice with his bat, also injuring Bridgeport catcher John Nathans in the process. Beech surprisingly ended up with only a broken finger, whereas Nathans was rushed off to the hospital after suffering a concussion. It was one of the ugliest scenes ever in modern day baseball as Offerman was ejected from the game and arrested by city police on the spot. Offerman was later embroiled in legal proceedings with the aggrieved Beech after being slapped with a case of second degree assault! McEnroe and his famous ‘You cannot be serious!’ moment! And last but not the least, comes the legendary John McEnroe! McEnroe, always a colourful character, was famous for his short temperedness which led to many a hilarious moment both on and off court. 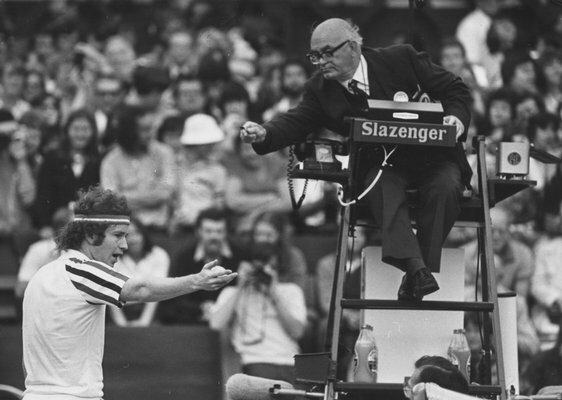 But the best of the lot was definitely during the 1981 Wimbledon Championships when the American swore and ranted at chair umpire Ted James during his second round match against Tom Gullikson. It all started with James calling a McEnroe serve out, which infuriated the American to such an extent that he went on a ranting spree against the umpire, leaving the crowd in splits. McEnroe ended his tirade with his now famous quote ‘You cannot be serious!’ against James and was deducted two game points. But the American went on to defeat Gullikson and had a dream run to the final where he defeated Bjorn Borg to win a memorable first Wimbledon title! There have been many such incidents of sports personalities losing their cool over the years, with either a close call or a heated argument on field being the cause of discontent. But the writer feels that the above mentioned outbursts were definitely worth a read, for no sport is complete without entertaining ‘rebels’ like Ivanisevic and McEnroe!